Biblically speaking, we are to focus on God’s Word and His Will, as our will determines the direction that we take. We must always remember, what God says about the human heart, that it: “… is deceitful above all things, and desperately wicked,”8 because man is a fallen creature, subject to sin; however, it is also with our heart that we exercise faith unto salvation. Thanks for posting, it helped a lot. god bless your heart. Thank you for your kind words. Please keep in your prayers, and I will do the same. This is an outstanding share. Thank you for this article. Very nicely expressed thankyou from my heart. God is spirit and man was created in HIS image so man is a spirit, has a soul and lives in a body. Heart is similar to spirit the center of your being. Prior to address anything else I must first comment on your fear of stating your name or who you are. I can only presume that this fear has driven you to the place of making a random statement based upon your own opinion without having the courage to read what was in the article, or research the subject yourself. If you would do so you would look so ridiculous. The languages that God chose to have the Bible written in our dead languages, meaning that they are fixed concerning the meaning of any word. If you would simply take the courage and the integrity to check out what you’re talking about you wouldn’t set yourself up to appear to be as ignorant as I don’t think you are. Tf it becomes apparent that I’m trying to anger you, then I pray I have succeeded. Because perhaps anger will drive you out of your cowardness into the honesty of doing the research for yourself, which it is evident you have not done. You have opened your mouth and uttered your own interpretation of something, instead of displaying the integrity of turning to God’s word, or even dictionaries concerning the language that the Bible was originally written in, in order to speak something that is intelligent. You know we all have opinions, yet it is only the immature that present an opinion that is based upon their own feelings, as opposed to real research. For those that spend the time and effort to really dig deep into God’s word and the languages that he uses, their opinions are referred to as an educated opinion, just the opposite of what you have displayed. I’ve spent over 60 hours writing this paper, most of that time reading what others, that I deeply respect and who of also spent the time in God’s word and research in order to understand what God means to say, as opposed to what someone thinks and regurgitates with only the conclusion that that is their opinion. Now please, use your anger in a positive manner and go out in research the subject then let’s talk again. By the way, over 35 years ago I did the same thing that you’ve done, and a kind individual, did exactly what I am doing to you – he was willing enough to look like a cranky old man that spurred me into action. I pray that you are motivated in the same manner. May God bless you and your pursuits, however if you’re only pursuit is to state what you think about something, then please keep it to yourself and don’t lead anyone else astray. The primary American usage for “heart” is even more narrow than only all emotion. Instead, we call various emotions one’s “feelings” most commonly, as distinct from the special case of the “feelings of the heart” (two different things)! Most commonly, the “heart” is one’s love feelings, and *not* other emotions unconnected to one’s love-feelings! So, today in America, if you ask someone without context what they feel in their heart, they will first think you are asking about their loves — what are their love-feelings regarding what people and/or groups and/or God. Emotions like wanting a new car or being afraid of speaking in front of a class, or whatever, all these other emotions are not usually referred to as “in one’s heart” any longer. That’s an old, out-of-date usage now. To help confuse things though, sometimes people will borrow the intensity of heart-feeling to add emphasis to some non-love feeling when communicating: e.g. — “my heart trembled in fear” or “I wanted that red dress with all of my heart.” and other such idiosyncratic usage instances. These are understood now as a kind of hyperbole. Yet more complexity: When we go to a church and hear the word “heart” in a sermon, then we have yet another meaning most often — that given in this piece — all emotions, all feelings. Depending on context of the usage. Allow me to begin to apply concerning your comments regarding the area of reference material, or more easily understood, authority for presupposition. May ask what is yours. You see as I teach, I teach the word of God. As I approach etymology (the study of the origin of words), I do so from the reference point of the old and new Testaments; according to the two major languages they represent that of Hebrew and Greek. I utilize biblical scholars in linguistics, defining words as they are commonly presented and accepted within Christian theology. So when someone comes along presenting their personal opinions as you have, making statements which I’ve never heard before with a rationality all their own, again my question is what is your reference – who do use the authority in concerning your opinion, or is it all merely your opinion. You see everyone has an opinion. In fact we all have opinions about everything that exist. While people may attempt to oppose this, all I need to do is ask them a few questions to prove the point. Such as how do you feel about that word yellow, and if they’re honest they will tell me what their opinion of yellow it’s. To me it is an effeminate color that I don’t particularly care for. If I asked them about the word conservative, or the word liberal; they would share their opinions. All humans have opinions about everything, though some may claim they do not the only differences is their opinion is very slight, because the subject matter doesn’t appear important to them, but upon further analysis it’s easy determined that they have an opinion about even the most mundane or minimal words. Now there are those that study a subject matter intensely wherein we refer to them as having an educated opinion. It cost them something. They became students who dedicated time and commitment to study the subject wherein they become what we refer to as scholars. I would not go so far as to call myself a scholar, but having spent thousands of hours studying God’s word, and many hundreds of hours studying the subject of the biblical use of the word heart in both the Greek and Hebrew languages, I can say with complete confidence that I have an educated opinion derived because of what it cost me to learn about the subject and except what others who are much more learned on the subject To say. You see if you want to be a master of a subject you must be the best student of that subject. Humility is not the absence of pride, is what you do to fight pride; such as humbling yourself by admitting your shortcomings and the errors that you make. I fully admit that I make errors all the time, and I am I messed up sinner. Yet I also observed in my own life that I don’t sin the same type of sins I did in my youth, I observe that the Holy Spirit is sanctifying me. The word sanctify means to separate, it is unfortunate that most Christians assume that the separation is from sin; yet the root of the word “hagios” which is the Greek basis for the word holy, while including separation from sin, more importantly has to do with separation to God – is more important to be separated for God’s use, then to be separated from sin – many false religions are better at being separated from sin, yet are not saved or speak the truth concerning God and therefore people go to hell. Yet those that separate themselves to God and his use, dedicating their life to him in faith become his children and are saved. Now the point in everything I’m saying, is that while you may have noticed I’ve turn this into a lesson, I’m trying to make the point that simply because you have an opinion on a subject matter, does not mean it’s correct. You state that the primary American usage for heart is even more narrow than all emotion. Then you go on to state your interpretation of the word feelings an attempt to connote that with one’s love feelings, making the supposition that there are different types of feelings. I’m sorry but I’m then I have to be honest with you. It is the difference in the use of the form of a word rather it is a noun, verb, verbal noun, or the adjectives concerning the words we are addressing That you are not addressing – if you would address the grammar I think you could better make your argument and it would be more rational, and Understandable. You make no distinction in the grammar, wherein the grammar makes the distinction of the word. Then you see even yourself the ability to define the American usage of words with no reference to your point of origin, or authority for such comments. Please share with me these things and let us continue in this conversation. It may be that I am just barking up the wrong tree and approaching this from a purely intellectual pursuit, where you are describing something from an experiential frame of reference – and if so please forgive me for my condescension. But please explain to me further the basis of your comments. Is it that you are a student of psychology and you are promoting the beliefs of a psychological subgroup. Or that you are a student of metaphysics and are communicating a particular teachers opinion. Or is this simply to how you think things are in your day-to-day experiences. What you must understand is that what I present is based upon linguistics, grammar, and accepted norms of these pursuits as they are relevant to the use of the old Hebrew and koine Greek languages as they relate to the Bible. If you wish to talk about how the etymology of the English word heart has progressed within American culture and society, I would be very interested to hear your opinion, along with any reference material so that I could also study and come to understand what you have stated. To answer your first question, just like you, my ‘authority’ is only the degree of my discernment. I find yours valuable in regard to the biblical usage (sense) of the word “heart”. Thanks for that! Sincerely. If you know of a more accurate sense of the current American popular sense of the word “heart”, I would honestly be delighted to learn your understanding of the most current popular sense. Why I asked: to better understand Matthew 15:19. If the popular understanding of a typical 18 yr old American is that the word “heart” means one’s love-feeling, or even simply one’s love, itself, then the verse will cause difficulty or confusion for *some*, as they might not guess at the intended meaning….if that usage is not explained more clearly, as you have. But once it is explained that the usage is meant in the verse to refer to all of one’s internal feeling and thought — love, fear, hope, greed, lust, everything and all — then suddenly the meaning of the verse is clear and helpful, as it should be. I appreciate the fact that you were not insulted by my frankness which bordered on condescension. I think if we straightened out the grammar concerning certain words such as: “feel,” “feelings,” and “heart,” I think we would probably be much closer in understanding and agreement. I think my use of the word authority concerning your presupposition was a bad choice of words. The correct word should’ve been “basis,” as authority has to do with rank, position, and power. I guess my question was what is your reference from. Is it based upon your own frame of reference, bias, and worldview; or is it based upon someone’s teaching, perhaps as I later suggested what you learned in psychology, or sociology, or philosophy. I complicated the question so I apologize. I simply wanted to know if this was merely your opinion which I later insinuated, or if it was based upon something else. This way I could understand some of your statements. Thank you for the compliment, and I appreciate your sincerity. I find that the most accurate sense of a current word used within popular or cultural America would be the common dictionaries that are used in the definition of that word. True sometimes it takes a while for a technical definition to come out but in the modern age of the Internet, as opposed to material publication, the definitions are pretty current. The reference that I was referring to concerning the word heart in my article would fit into the figurative expressions regarding the emotions, which would include love but not specifically. Concerning the above definition, I believe that number 3 is a consideration of the etymology of the word as used in the Semitic, Hellenistic, and italic (Latin) languages of old, which would include an understanding of the Greek and Hebrew words for “heart.” What I was attempting to present was the word as it was originally used thousands of years ago as the above dictionary defines a number 3, and number 6; that of an understanding that the heart was the inner part of the man, yet more exactly defined within Hebrew and Greek languages as the 1) mind, 2) emotions, 3) and will. All individual aspects of the inner person, for which the word heart would define. Within the Hebrew and Greek, the greatest emphasis is placed on the mind, the rationality where logic and determination are combined with information and discernment, with the emotions aligning with the human response to outside conditions and elements. An example would be the word happy. The word happy has as its root the word happen, or occurrence, event or situation. Therefore to be happy would be a result of an outside occurrence or something that happened us. This would fit within the realm of the emotions as emotions normally always function as a response to outward stimuli. As a point of reference this paragraph while based in etymology, can be found in philosophy, depending on what particular scholar one would consider. Yet what I was dealing with specifically is what I consider the American understanding of the word heart based upon the common vernacular as seen in its everyday use, mainly that of the emotional state of a person. “I love you with all my heart”, “you have wounded me to the heart”, yet more appropriately seen in how the word is used in the context of the subject matter. We know that the word heart is a technical word which actually is in reference to the muscle as seen in the above referenced number 1 definition. My presumption that the word heart is mainly accepted as emotions is seen in many of the everyday aspects of American life. Such as Valentine’s Day, a tradition less than 100 years old, yet when referring to the subject of love, which is an emotion uses a heart as a representation. 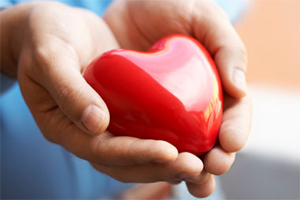 Something which I did not present because I don’t have my source material because it was noted three decades ago is a longitudinal study wherein researchers surveyed people concerning what they believe the word heart meant. Unfortunately prior to computers, back in the early 80s we were cursed with having everything written on paper, which unfortunately could be subject to loss or incorrect filing; which is what happened in this occurrence. Otherwise I would’ve quoted this longitudinal study. As I discussed in my article the Greek word utilized is “kardia” which is the root for our common translation into the English of the word heart. Yet as the article presents, as proof concerning the heart being the complete in word working of the individual, which was primarily led by the mind, then the emotion, and finally the will where discretion was made between the two; this passage is a perfect example. We know that though the human brain ruminates more concerning pictures then words, this is not to say that words are not used within the rationality of the mind. This is why those that would attempt to define dreams, not speaking about those which are presented by the Holy Spirit, but the normal dreams of a person are so hard to interpret, because the word pictures can change wherein their association to one particular definition of a word can change as well. This explains why dreams are so unusual, mystifying, irregular, and appeared to lack any kind of formal logic. (As a licensed counselor who trained in psychology on the honors list, you might find some of this in what I just stated – though I do not utilize psychology, I do see useful idioms and terminology’s, as well as ways of describing observation – just want you to know what my frame of references in the above statement). Yet we also know that the emotions do not ruminate, meaning we do not hold pictures, word pictures, or logical thoughts which follow a linear perspective. Emotions are what we feel, for lack of a better word. And as stated above they are always a response, or reaction. An original event is called an action, a response to the original action is called a reaction. While true we can wake up feeling depressed, there was an original event which created that rather it is serotonin levels in the brain, the fact that our spouse just died, or that we just fell in love, or we just lost her job; the emotion that we feel is based upon something that occurred or happen to us. Now the point of this Scripture is that when Jesus uses the word love he refers to evil thoughts, and we know that thoughts have to do with the ruminations of the mind, and not the emotions; not feelings. (It would probably be best if you reread my article noting how passages which use the word heart use descriptive language which can only refer to the mind). Then Jesus goes on to name six different sins, which he presented under the category of thoughts; wherein in the next verse, verse 20 he describes these thoughts as that which the files a man. Then he goes on to say that the things that go into a man – physically speaking, food, or certain traditions such as washing the hands, do not defile the man. The word defile here is the Greek word koinoo, which means to make profane, polluted or unclean. The whole point that Jesus is making is that sin comes out of the mind and the thought process these are the things that contaminate and make unclean are behaviors. This is why Jesus at one point spoke about adultery being committed in the mind before the physical act ever took place. His context was dealing with the Pharisees attempting to teach that it was the food that we ate or the ceremonies that we Such as washing our hands, that these would defile the man. Jesus spoke about sin originating in the heart connotatively (in general) speaking, yet in the mind denotatively (specifically) speaking. Now in regards to the two paragraphs after your question concerning Matthew 15:19; I think you understand what I was attempting to present. It is that when young people brought up in the church hear the word heart, as it is commonly used in American culture today, they might misunderstand many passages including this one. You see the point I’m getting to is at the mind is a rational aspect of the human being, and that it is the mind that we use not only in interpreting God’s word but choosing to follow what it says. Hence the reason for the following Scriptures. You see we can’t feel our way into performing that which God has commanded and intended for us to do as found in his holy word. Emotions are like the icing on the cake, they give luster and exuberance to life; yet they also give pain, anxiety, and fear. We are not to make decision based upon our emotions, but our mind as it dwells upon God’s word as our guide. We are not to allow our emotions to lead us, because they are easily fooled. How many times have we fallen and the love, at least thinking it was love when all it actually was was desire and passion. We don’t want to do away with the emotions, their what embellish life, it’s what makes of praise service so gratifying. Is what brings on the tears as I look at the cross and think about what my Savior is done for me. Yet what we must also realize is that before the emotion, because it is a reaction; there was a thought that drove the emotion. You see for me to feel insulted by someone it was my mind that had to interpret that what they said was insulting. It is our mind that interprets everything that we go through and perceive through our five senses, as well as our perception in considering these things wherein the emotions are produced in accordance. You see the whole point that I was trying to get to, wherein I have spoke far too much today; is that God’s word has called us to take our thoughts captive, to not be led by our emotions; to understand that the word for heart used in the Bible is referring to our minds that our minds will either cause us to glorify God or to sin against. And to not believe the lies of our current culture when it defines such words as heart, and love. Finally I would ask for you to read the following article concerning biblical love as seen through and experiential framework. Hal I appreciate the time that you’ve taken to consider what I have presented, and I pray that I have not come across as arrogant as sometimes I present myself. Pride is something we all have, it is the foundation of every sin, and something we all deal with. I found that what humility is is not the absence of pride, AS MUCH as it is what we do to combat pride in our life – we humble ourselves. And in my life, as seen in God’s word; when I do not choose to willingly humble myself, then God chooses to forcefully humiliate me. God bless His word through you. Thanks Brent, I appreciate you taking the time to do the research allowing you to answer the question I was challenged with this morning when reading the scripture. Thanks, there is more to heart as there is more to church. What’s up, just wanted too say, I loved this article. 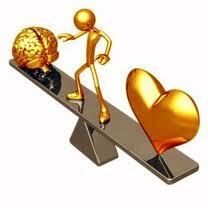 The mind like light show your way….And The choice with what your love (hreat)….! You will have to forgive my ignorance, but may I ask where you gained this concept from, what source? You see as a born again believer my source of information is the Bible, and this article breaks down the language that is used in the Bible, wherein I use multiple linguistic scholars as my cross-reference sources so as to gain credibility that this is not simply my interpretation of the Scripture, or my thought on the subject. So whereas we all have opinions that we think are insightful, as a Christian it is what God’s word says that is the foundation of knowledge. And as we know wisdom is the proper application of knowledge. This is why we have so many smart fools in the world, individuals that have knowledge, but they can’t apply it within their life, or don’t know how to apply it within their life wherein they show themselves to be idiots. It is whenever knowledge is combined with perspective, such as the perspective of God’s word which shows us how to apply knowledge that we gain wisdom. Anyway, thanks for stopping by, hope to gained some knowledge. Maybe at some point you will also gain the application in order to become wise. Remember it’s always a process, not a destination. I have stumbled so many times in my life thinking I understood things in poetic words, simply to find that I was just playing mind games with myself, instead of coming to understand what God’s word has to say and how I can become wise by applying it to my life. I appreciate the scholarly work you put into this study. I may have overlooked it (if it was covered in your article and the comments), but do you know if the Hebrew word “lebab” (Strong’s #3824), was first used in ancient Hebrew (or any language from which it may have been derived), as meaning the physical organ and then began to be used figuratively as that which exists at the innermost part of our being (“emotions, will, and intellect”), or was it possibly the “other war around” (i.e. first used as meaning that which exists at the innermost part of our being (“emotions, will, and intellect”) and then evolved to be used as the name for the physical organ? It is the Greek word for heart that is translated into the English word for “heart” via the Middle English word hert, which is from the English word heorte; akin to Old High German herza, the Latin being cord-, and the Greek kardia, yet before these is the Hebrew. 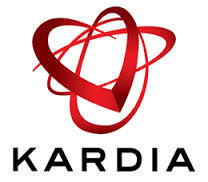 The original English word that we utilize for heart is the Latin word “cardio,” which is a word forming element meaning “pertaining to the heart,” which is from the Latin eyes to form of the Greek word kardia. The Greek only goes back a few thousand years, wherein the Hebrew goes back much further, again leading us to the original use of the Hebrew word for “heart,” which regarding roots is the oldest of the roots I am aware of exist, which is lebab. Therefore, being older than the Greek word kardia, so it is the Hebrew that holds the answer. My understanding is that lebab was first used to indicate the center of the human being, their most inner place of the soul, and that with time the connection between the inner part of man and his physical heart became secure. Whenever dealing with word studies within the Bible there is what is referred to as the LAW OF FIRST MENTION, meaning that it is the first use of a word that needs to be considered the primary understanding of that word. The Greek and Hebrew are both dead languages, meaning they do not change, they are set forever. Part of the problem we have with the English is that it is a living language, always changing, growing and redefining words. Therefore according to this first usage of the word, heart primarily has to do with the rational mind, with the IMAGINATION, which is a function of cognition, not of emotion. It is also identified as containing the THOUGHTS, which again are cognition. If we want to take God literally concerning his word then the heart according to this first use as found in this text has to do with the inner part of the man which is primarily his rational cognate, his ability to think and reason. This is the reason I wrote this original article, not giving my own theory, but giving expert testimony of those words by individuals that I trust because I have utilized them over the years. The problem becomes when we think that God wants us to be led by our emotions which is never stated in Scripture. We are not asked to put on the emotions of Christ, we could never even comprehend what that means because He is eternal, our perspective would never allow us to understand any of His emotions because we would never be able to comprehend the immensity of the task. We are told to put on the mind of Christ, time after time when you see the word heart used within both the old and New Testament it is obvious that it is the rational mind that it is referring. We must remember that our emotions, have to do with our feelings, which have to do with the response of a primary situation or action. We respond with emotions, emotions are never primary, there always as a result of something else happening first. The only pro-active part of man’s inner being is his mind, even the will is secondary because it must sort out and make a decision between what the mind thinks, as well as what the emotions feel. What we need to understand about God’s command to use the mind of Christ is that it is pro-active, wherein the fallen nature is always reactive. Christ never reacted to anyone, they would ask a question and He would never answer what their words spoke, but He would cut to the marrow of what was behind their question. If you responded then you are the slave to the master who asked the question, or presents the original action; Christ was never seen doing this. Even when he was arrested, He was in control, and the submission that we seen during his six trials following his arrest, is to fulfill prophecies concerning those events. If you make the mistake of allowing your emotions, which are synonymous with your feelings, which are always synonymous with a reaction to something else, control you – you will be the loser, and not fulfilling Christ command that we be pro-active. You see that the evil one can never be in control of the believer because the believer is to have a pro-active mindset as defined by God’s word which is never submissive to evil. That is even when hundreds of thousands of believers were being burned at the stake, if they maintained a pro-active mindset, there are many accounts of the Romans being frustrated because they could not break the will of the people. That as people were being tortured, burned at the stake and murdered, they never submitted to the evil torturers, they maintain the power of the situation by refusing to deny their Lord and Savior, by quoting Scripture, by refusing to hate those that were killing them. All of this is pro-active, I’m not talking about psychological Babel, I’m talking about the ability to maintain Christ mind, which displays humility to God and God alone, that displays love and acceptance of others even when they are torturing you, that follows God’s precepts more than their own emotional feeling concerning what they were going through. This is why much of the church fails at their mission, they either become so full of himself that pride is their master and diverts them from their task, displaying they do not have the mind of Christ because they lack the humility as we find in both Hebrews 12 and Philippians 2. Humility because God is in control and we are not, because we trust Him and not only pray that “His will be done on earth as it is in heaven,” but accept His will on earth, even when it is against our own best interest or feelings. I will soon be doing a lesson on the difference between reactive and proactive, because it is such an important example that Christ set for us to follow. lēḇ: A masculine noun usually rendered as heart but whose range of meaning is extensive. 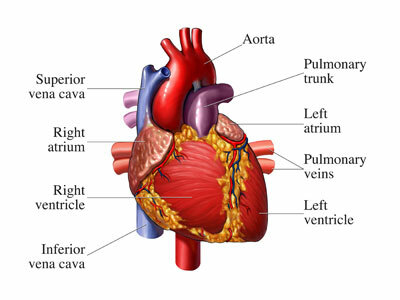 It can denote the heart as a human physical organ (Exo_28:29; 1Sa_25:37; 2Ki_9:24); or an animal (Job_41:24 ). However, it usually refers to some aspect of the immaterial inner self or being since the heart is considered to be the seat of one’s inner nature as well as one of its components. It can be used in a general sense (1Ki_8:23; Psa_84:2 ; Jer_3:10); or it can be used of a specific aspect of personality: the mind (Gen_6:5; Deu_29:4 ; Neh_6:8); the will (Exo_35:5; 2Ch_12:14; Job_11:13); the emotions (Gen_6:6 [Note that God is the subject]; 1Sa_24:5 ; 1Sa_25:31). In addition, the word can also allude to the inside or middle (Exo_15:8; Deu_4:11). before vowels cardi-, word-forming element meaning “pertaining to the heart,” from Latinized form of Greek kardia “heart,” from PIE root *kerd- (1) “heart” (see heart (n.)). © 1992 By AMG International, Inc. I have enjoyed reading the comments and of course the main study on the ‘heart’. It is my understanding that the Lord wants all of us to be yielding to him, whatever part you understand and call it, whether your mind, spirit, soul, body, will,..heart being the core of us…..all belongs to God and functions best when Jesus reigns as we submit by faith our whole being, mind and will to him and he gives us his Spirit to activate our spirit as children of God, changed, renewed, transforming our dead selfish hearts to be alive in Christ to the glory of God the Father and Jesus his Son. Thank you very much, I could not have said it any better myself. Of course it is obvious why defining biblical words based upon their original language and understanding is necessary in this case. In our current culture the devil has sidetracked many Christians by the false teaching that when the Bible speaks about the heart it is speaking about the emotions, therefore rationalizing that we are to be driven or led by our emotions, nothing could be farther from the truth and hence the reason for this article. This is not my interpretation; this is why I use so many different theologian’s definitions of these words both in the Hebrew and Greek which we have known for thousands of years though the pulpit has been silent about. I believe that we are living in a time where believers, not just unbelievers live with the mindset that they “do what is right” in their own sight and can therefore justify behaviors based upon emotions, instead of God’s word which necessitates the use of the mind in understanding it, to interpret the meaning of the words. Many decades ago as a young minister I actually believed that it was a sign of faith that we listen to God initially without understanding any reasoning behind it, seeing that God never makes himself accountable to man, does not make excuses or give reasons many times concerning his behavior, or who he is – he is God sovereign in all things. He is the potter we are the clay, and I believe he has the right to do anything he wants to. But I have started to understand that based upon his own will God desires to explain ‘WHY” to his children, yet not to mankind. It is this grace, this unmerited favor that goes beyond mere mercy that he shares with us the reasons for doing what he does. You may ask where does he do so. For one; if you have not already, I would invite you to do a study on the seven feasts (as well as the tabernacle’s construction) that God gave to the people as objects lessons not meant to only teach about the law, but most importantly the Messiah that would come. About the “Lamb of God” that would die for the sins of the world, about us who are the “scapegoat” while he was the “sin goat” paid for our iniquity. How that all seven of the feast symbolized events concerning the Messiah, his death at Passover for our sins, and his burial and resurrection, as well as Pentecost (the birth of the church, where he left us to continue his work until we are snatched out of the way) and with the last three feasts symbolizing those last days events revolving around the rapture, the second coming, and the millennial kingdom where Christ will physically rule over. Why did God set up all these object lessons for the Hebrews, and for us for our learning (“For whatsoever things were written aforetime were written for our learning, that we through patience and comfort of the scriptures might have hope</em>.” Romans 15:4 ~ KJV). In his grace he did so to explain why and how he did all these things to redeem man. It is an understanding that when the priest would cut the throat of the lamb for the family and sprinkled the blood on the people, wherein their children who had for four days raised that lamb in the household before Passover, no doubt falling in love with it; had had it killed in front of them with its blood sprinkled on him. How gruesome is this, yet this was God’s instructions so that we would understand how BAD sin is, which would cause us to understand that the only propitiation, the only “scapegoat” for something so severe, was the pure sinless blood of his own son. I love the fact that God has chosen to explain to us all these details so that we understand more and more about his love, his mercy and his grace. I am drawn to God not for fear of hell, I am drawn to God for his love (the “burning bush”) that he continues to show all these decades later to such an ignorant sinful man is myself. It is for these reasons that I attempt to teach believers not to lean on their own understanding based upon their own feelings, which is just one of their senses. That they are not to walk by sight, smell, sound, touch, taste; or any other sensory function such as feelings or emotions. These are all faculties that are instruments that cause us to relate to our environment, wherein God has told us not to have faith in him by relating to our environment or what we SEE; but because of a track record he has shown in his word that proves his reliability. This mandates that people search out the Old Testament concerning the hundreds of prophecies which have come to pass that prove that this book was NOT written by a human, but by someone outside of our time domain, who knows the ending from the beginning, wherein these words are trustworthy and true and we can rest our life upon them. You see I fight against people that mix up emotions with faith, faith is always based upon the mind and the ability to think as we go through God’s word and reason out how completely trustworthy he is in all things. Emotions are a delight to our life. They are icing on the cake that keeps us from boredom, they create excitement and intrigue. Yet it is the foundation of faith that necessitates the use of our minds as we handle God’s word. For it is with our minds that we understand these words, it is with our minds that we make a choice that the evidence is overwhelming and therefore God is trustworthy. This is why Hebrews chapter 11 is our teacher concerning faith, where not only the first part of the chapter displays those whose faith is rewarded on this side of eternity, yet how precious to me are the last few passages that relate to those who walked in faith and did not receive the answer to that faith on this side of death store, but because they walked in faith they went through deaths door to God’s presence where he did fulfill all that he said. It is us that think that there is only the NOW and that is only NOW that God answers our petitions and trust in him. The reality is that eternity is much more REAL than these few hours of breath that we take on this beautiful planet. Wow, where that come from. Ronald, sorry did not mean to sound preachy, that was not my intent. But I find many times my spirit is overwhelmed by God’s spirit in understanding all that he is done for not just his children, but for me as one of his children. For I am truly the least of all, the worst of all sinners; yet this has caused me to love him so much more. And when he goes beyond simply doing but also explaining to me in his word the rationale for what he does, something he will not do to the world, my heart grows even larger as I understand his love for me. This is such a complete resource. Thank you for compiling all this information into a single page, I feel like I’ve just been to a great lecture. I stumbled onto this article and I’ll definitely keep an eye on this website from now on! Wow! I am so grateful that I stumbled on your article this morning. Evidence that there is some good that comes from the internet. I believe you’ve blessed many by choosing to use your talents to research so throroughly the truth of “the heart” as the scriptures meant it, rather than as we might interpret it through our everday, modern usuage. It reveals a more complete understanding of scripture which is such a gift to those of us who desire to know its original intent (how the original audience most likely perceived it), so that we might make godly, biblical application to our lives today. Absolutely wonderful article. Thank you for taking the time to write this and be so thorough. Is it safe to say that Paul was also referring to the heart when he talks about the renewing of your mind in Romans 12:2? You may have covered it and I missed it; there is so much rich information here. This subject has really fascinated me and do appreciate your many hours of hard work. Saying that I would have to caution you sir on using the Old Testament in reference on anything when studying. We now have the New Testament to form our doctrines on now. Being called the dispensation of Grace. The heart is the center of who a person is. The entire makeup of that person. That being the human spirit,the mind,the will,the emotions of that person, and even the flesh(sinful nature of a man). The human spirit must be in the heart because we relate to God in the spiritual realm as well as him speaking to our mind. Of course the Holy Spirit lives in our spirit and that is how God mainly communicates with us. The things of God are spiritually discerned. Remember the woman at the well. 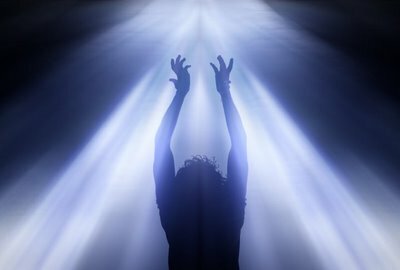 Jesus told her that “God is a Spirit and them that worship(or could liken that to interacting with God)him must worship God in spirit and truth. My point is you interact with God mainly through your spirit so,your spirit must be in your heart. When Jesus told the parable of the Sower and the Word,the word was sown in the heart of a man. What an important passage in the Bible. If the writers would of meant mind they would of said that instead of heart. Acting on the word and obedience are the keys in that passage. Again if the writers and translators of the Bible would of wanted to use the mind in the passage they would of. 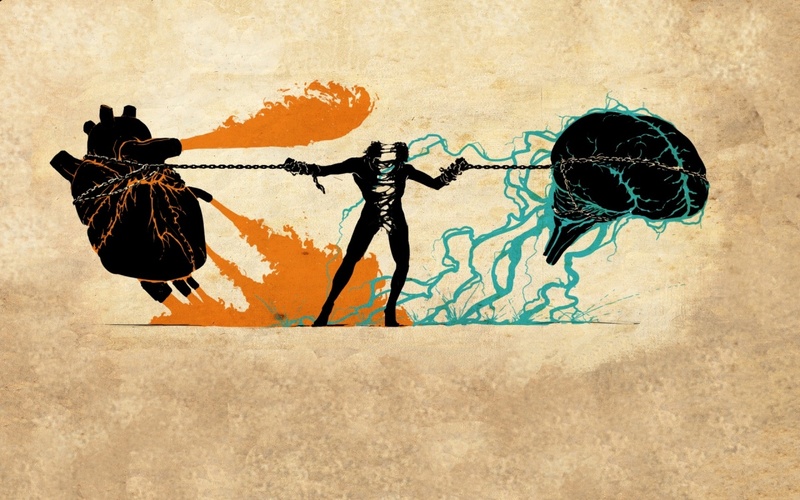 That`s why they used heart in the passage instead of mind. All through the new testament the word for heart and mind are not the same. The heart of a man is made up of a number of things as I have listed. All those things influence the person in a positive or negative way. My time is short so please allow me to utilize voice recognition software, wherein sometimes sound alike words are missed and editing does not catch the clerical mistakes. I’m not sure if you are a ultra-dispensational list or not, but I would caution you against downplaying the Old Testament, as Jesus did not come to destroy or change the law, in that the law is perfect and needs no modification; yet he came to fulfill the law. Even during the dispensation of the law man was not saved based upon the law but has only one way of salvation known to man and that is through the grace of God wherein the Messiah would die for the sins of the world all made accessible by faith as we see in Hebrews chapter 11. God will not be defined by dispensations though he uses them, yet it is man’s doctrine concerning how we define things that God has not defined in the way that we seek to do so. In many ways I am in ultra-dispensational list who refuses to be called one because that is a man-made interpretation of how God functions. In many ways I am Calvinistic, yet refused to be defined by this man-made definition of God’s word as well. We must not attempt to bend God around our interpretations of exegesis, for in doing so we forget the lesson of Romans nine concerning the Potter and the clay. It is both the Old Testament Hebrew language and New Testament Greek language that my article refers too, indicating how for thousands of years these words which are translated into the English word heart display a consistent interpretation. When you say that we must allow God to change our heart that is defied by Scripture, God does not change hearts, anymore than he uses the flesh and changes the flesh into good. He brings us and gives us a new heart, the same as he gives us and brings us a new flesh, the resurrected body. In Isaiah we are told that the heart is a incurably wicked, it cannot be saved. It is what when English translators mix up the words in the Greek or Hebrew for heart, mind, emotions, or will that we get mixed up yet God’s word is completely consistent. God gave the Hebrews and understanding that later on the Greeks understood as well that the heart is a reference to the inner man which according to our own logic would be three parts. The mind, in combination with the emotions in combination with the conclusion of the will. There is no Scripture which indicates that the heart has to do with man’s spirit, as the words both in the Hebrew and Greek for spirit are the wind which has nothing to do the makeup of the heart which is a separate function of humanity. 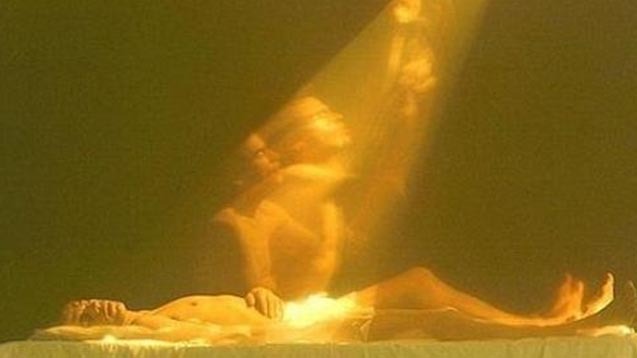 He also has a soul, which is always referred to his living and connected with the flesh, yet we do not see the soul connected to the spirit. How did you Define interacting with God’s spirit specifically. We use these vague terms not knowing what they mean and then try to create a basis of understanding from them. So please use Scripture and correct me on how we worship God in spirit but that exactly means so that you can redefine it to suggest the hardest part of this function. Simply because Jesus told the woman at the well that God is a spirit and must be worshiped in spirit, he went no further and to add to what he says is reading into the Scripture. So again please tell me what it means to worship God in the spirit. And to make the leap that if we are to worship God in the spirit that that mandates that it must be in the heart is not found in the Scripture that I am aware of so trying to make that connection on your own is on biblical. Please correct me because I earnestly want to learn where I am mistaken on this subject as it is confusing. And just as only God can define God we grasp at straws trying to suggest what the Trinity is when it is beyond human capability to understand God from a human perspective. Anymore than it is easily defining what the spirit is in connection to this passage. You cannot make jumps the way you have whenever the Scripture does not directly lead their. You misunderstand what is implied concerning the definition of heart regarding the parable of the sower and the word. The point that is made is that many attempt to define the heart solely as the emotions, something that Lucifer is been trying to do for many centuries, misinterpret the meaning of certain words. The point of this article was to indicate that we are not to be led by our emotions, though the emotions are part of the process. We are mainly to be led by our minds, such as putting on the mind of Christ, taking every thought captive, think upon these things; these are all scriptures which indicate that we are never to be driven by our emotions and that is the reason for the article. To have the word of God sewn into our hearts means that our minds understand what the Spirit is saying, our emotions play a part to this but the most important aspect you pointed out is the third part of the heart, the will. Wherein man makes a decision what to do based upon knowledge and his emotions. It is this aspect of the heart that is clearly seen in this parable. And to simply say that if he wanted to communicate mind he could use the word meant only mind whenever the readers had understood the word heart to be the common vernacular for the total in word aspect of the human. They also understood that the spirit was something that was separate from the heart, yet help make up a living soul. The words heart, mind, spirit, soul, are words that sometimes seem to be used synonymously, though when you go beyond a simple use of Strong’s concordance and dictionary which is only a root dictionary and does not give the exact meaning of every word within the exact context of the passage you conned understanding that this will not suffice to conclude an understanding of any word used in either Testament. You mishandled the direct language and break down, meaning to parse the verbs and nouns so that you know exactly what a given word means and the exact context of any particular passage. And the fact that the Holy Spirit uses the word heart when it comes to where the word grows within a human being and chooses not to use the word mind doesn’t mean that a mind is a part of the process. It simply means the Holy Spirit is using a word which the local hearers all understood. It is us who have cultural differences and don’t understand the backgrounds that must use the linguistic tools to attempt to understand what the meaning was meant to the original hearers and not to come up with a private interpretation. There is only one interpretation of Scripture that is God’s interpretation and we need to find it not based upon our own understandings of current language but what he communicated then because it is always consistent and never as inconsistent as changing with each culture. Because certain words seem to be used interchangeably only leads to the conclusion that we must dissect these words individually to the extent that we find that they are specific to that particular usage and it is our lack of exegesis that creates a confusion where we would think that the heart is made up of many things when over the centuries the original speaker, and the original here clearly understood that it was only three aspects of the human that it is referring to. And there are times where he speaks only concerning the mind and there are times when he speaks to only concerning the spirit and there are times when he speaks to only concerning the soul, and to conflate or inflate any of these terms displays a lack of the discipline that is necessary to be called a disciple of Jesus Christ. The word disciple means more than mere student, it actually means an apprentice. It is an individual that spends his whole life learning by experiencing and handling God’s word not based upon his own interpretation, but upon the word of God itself and understandings that we have concerning the languages that God chose, how they were used in the original culture, and how we must not merely read superficially in a translation such as English and think we understand all there is. Just found this – amazing information. This is not in response to anything posted, but just wanted to share what I woke up with this morning for others who are seeking – for you to pray if it agrees in your spirit and with scripture, and to use freely or not, or correct and adjust where I may have misspoken or misunderstood. From the information from the brain, the mind formulates thoughts, then begins to postulate and reason around these thoughts. Once the mind has formulated, postulated and reasoned a thought (or thoughts) and accepted it as truth, it becomes a belief. Emotions are expressions of our beliefs, and the transfer mechanism for those beliefs (a reasoned and accepted thought) to enter the physical realm. Our Will is the tool that God has given us to regulate and calibrate our mind and emotions. It is where our choice presides. Through our will, we can choose to align our thoughts and reasoning with God’s truth, or follow other “voices of reasoning”. Through our will, we also choose whether or not we will act on our emotions and beliefs, or use them as an indicator to tell us if something is in need of re-alignment. Our heart is where our spirit presides. Our heart is what tells our mind what truth is; what to accept and what not to accept as truth. Our spirit is our entry point to the eternal. It’s where faith presides (whether alive to Christ or not). When Jesus makes His home in us, then our heart, through our spirit, becomes a receptacle for all things that are of and from Him; His faith, His law, His will, His love, His truth, His wisdom, His gifts, discernment, godly desires, godly character. But even in the heart, our will determines what changes we permit His Spirit to make within us. Words can not describe the awesomeness of this blog…I have copied some of it for personal study only. God is so good to us and will lead us not by our own understanding, but by His Spirit and His Holy Word. I thank you Sir for this article and being a God follower. Thank you for your in depth explanation of the heart / mind connection. I am being led to teach sexual abuse survivors ways to heal. There is a tremendous amount of healing because of trying to make emotional and psychological sense out of the betrayal. In addition to this I have felt that there is a “heart within a heart” part of the healing that God wants to target….”the hidden man” you referred to. You are one very smart man and great teacher… I will continue to process it all. Thank you for sharing your insights. Your work matters! Thank you very much. Please keep us in your daily prayers. I would like to share something with you if I may. Having brought up in a world where I have been abused in different ways, the kind that change you forever, I would like to share something I have learned along this 6 decades of stumbling, falling yet always being loved by God, even when I didn’t recognize it. I have worked in ministry, law enforcement, and been a licensed counselor, passing with honors, but utilizing the Bible only (talk about being a Daniel in a Nebuchadnezzar type of world), all of which God is used in my life, the good, but much more the better. I’m not saying it’s good that evil things happen to women and children it is not, and as Jesus said, that those things will occur, because the evil of mans heart, the offender will get there just dessert. After having spent a total of 17 years in prison, Joseph, who was his father’s favorite and therefore no doubt, a spoiled brat at the age 17, he didn’t suffer for his own behavior, but the evil of his brothers jealousy. And that when Jacob died, the brothers were fearful that now they would get there just dessert, that Joseph may not have harmed them for the 14 years while they had been in Egypt, prior to their father’s death (because it wouldn’t broken their father’s heart), but now; they was nothing holding Joseph back from delivering justice. What Joseph said, has changed my outlook on life. He said you meant it for evil, but God meant it for good. I know what it is like to lose a 6-month-old, and that even decades later, how God put me as a lead chaplain for over ten years to deal with hundreds of women that have had miscarriages or have suffered fetal demise, who are believers. Where God has taken me through this myself. This is what I share with them, these women that are broken inside. When I enter the room there is always great grief, pain, and emotional distraught for the believer; why would God either take my baby or allow it to be taken. At the appropriate time I asked him if I can share my own personal experience having lost a beautiful 6 month old baby boy. I tell them about Eddie, who is now 37 years old, who resides in heaven, and except for that brief 6 months, has known nothing but joys which I could never understand. You see he never had to suffer being sexually abused, or verbally assaulted, or treated like white trash because he was raised in the school with elites and he is 1 of the few outsiders. I learned from David, and all of God’s Word that though Eddie was in heaven and I felt like hell, some day I get to go see Eddie, he’s not going to walk to me on this earth, but I shall walk to him in heaven. Because I know so much about Jesus, that Jesus does everything in complete perfection, meaning that Eddie would be brought up and nurtured and completely love by an individual who is especially picked out for him. By someone who never verbally abused him or was inpatient with him, someone that showed biblical love, which is that of sacrificially putting someone else first. So I thank God for treating Eddie better than I ever could have. And that I have the pleasure someday of spending time with Eddie, of explaining and talking to him about people, and most importantly Eddie will get the pleasure of spending eternity with his mother. You see there’s nothing you can never say or do for somebody that’s lost a child, even a stepchild. There was a reason why Paul concentrated on (I Corth. 13) “faith,” “hope,” and “love;” understanding that the Hope referred to is what’s called the “blessed hope” which is the resurrection and eternity we will spend with God, and with our loved ones that have place their faith in him as well as we have (Which includes all babies, in fact all adolescents under the age of 20, will be seen in heaven, because 20 is the age that the frontal lobe of the brain finally matures enough to where a person becomes an adult and can be judged for rejecting Jesus having paid for their sins, this is the age of those that entered the promised land, those children that were under the age of 20, and wherein the Bible teaches the age of accountability starts). You see God even uses other men’s sin, to perfect in us things that could not come about any other way unless we experienced it. Every woman that’s been abused, it was not because God was not with them, or that God even allowed it to happen, but that God, with their agreement and understanding, will use that wickedness that happened to them, so that they can tell someone else in this world about a loving God, that is nothing like earthly parents. The last thing I found that we should do in our grief of being abused, is focus on self. If you do, you will never heal. Because what heals a broken heart is not justice, it is not even mercy, it’s love. It’s whenever we feel what we feel in walking in pain and thank God that He still loves us, and that even this evil thing; God will turn around eventually for good. Think about the rewards in heaven, the “hope” that many churches never speak about because our current age is only concerned with immediate gratification, the blessings that we receive when we come face-to-face with our God, and say “Lord, I except what happened in my life and I know you didn’t mean it to be evil,” understanding that when I stop focusing on my pain, and started focusing on others, and loving them the way you loved me; attempting to pass along the thing that does heal the brokenhearted, which is love, love for others; this is the greatest feeling by doing GOD’S WILL, ON EARTH AS IT IS IN HEAVEN ——- JOY. I’ve never known of anyone heal by focusing solely on themselves, AND THEIR PAIN. In fact one of the tools that I use with everyone I counsel is a book called the “5 love languages,” which though Gary had written it concerning a marriage, it displays how we can show biblical love to everyone we meet each and every day, simply by putting them first, and attempting to find out how they experience love, so that we can love them the way that they understand. If you want to get out of your own head, get out of your own head. It sounds cruel, but after 60 years of being abused, abusing others, sinned in almost every way, falling, falling; and getting up again by the loved God; when I never deserved it, it is whenever I set my own feelings in the backseat, putting someone else in the front seat, and loving them when they don’t deserve it, any more than I do, it is then that I start to understand how much God loves me, and that he would use me, such a broken and messed up individual, to spread His love to others, those that have been broken by this wicked world; yet redeemed by HIM in love – this is the greatest healing I could ever receive.